The Museum at Eldridge street offers an intimate, authentic portal to the past for people of all backgrounds. 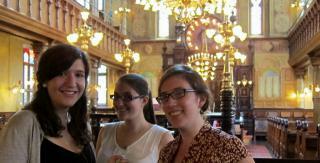 Step into the footsteps of the synagogue's immigrant founders. Explore digital displays. Discover how the immigrant experience transformed and continues to transform communities today.